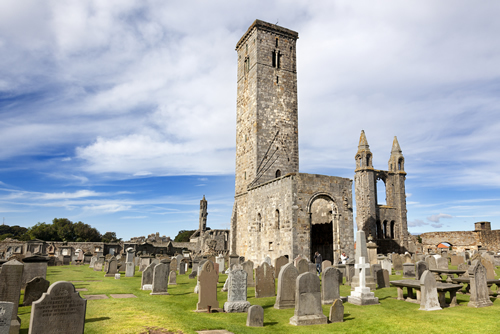 St Andrews is also known worldwide as the "home of golf". This is in part because the Royal and Ancient Golf Club, founded in 1754, exercises legislative authority over the game worldwide (except in the United States and Mexico), and also because the famous links (acquired by the town in 1894) is the most frequent venue of The Open Championship, the oldest of golf's four major championships. Visitors travel to St Andrews in great numbers for several courses ranked amongst the finest in the world, as well as for the sandy beaches. The Martyrs Memorial, erected to the honor of Patrick Hamilton, George Wishart, and other martyrns of the Reformation epoch, stand at the west end of the Scores on a cliff overlooking the sea. A personal favourite of ours! This is a family fun Italian which has great atmosphere and food. Never disappoints. 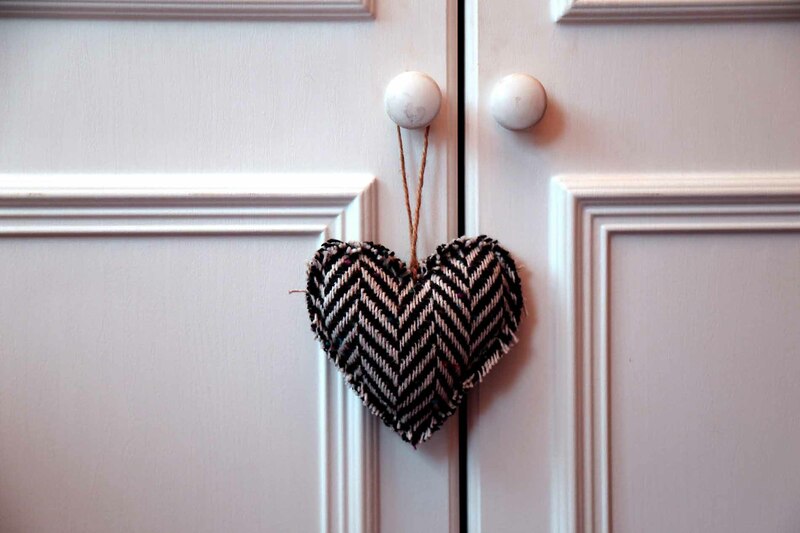 Booking is highly recommended as it is very popular. Another favourite, it has recently celebrated its 30th year and is still run by the same family. Lots of locally sourced ingredients can be found on its large menu. Booking is also recommended. weather. Great cocktails and food. Full of beautiful handmade rugs and carpets. Furniture and unusual gifts great to browse around. Lots of unusual gifts to take home. A lovely bookshop where you can browse and have a cup of tea/coffee. They often have visiting authors give talks. Play the Old Course and experience everything The Home of Golf has to offer with the St Andrews Links Winter Package. 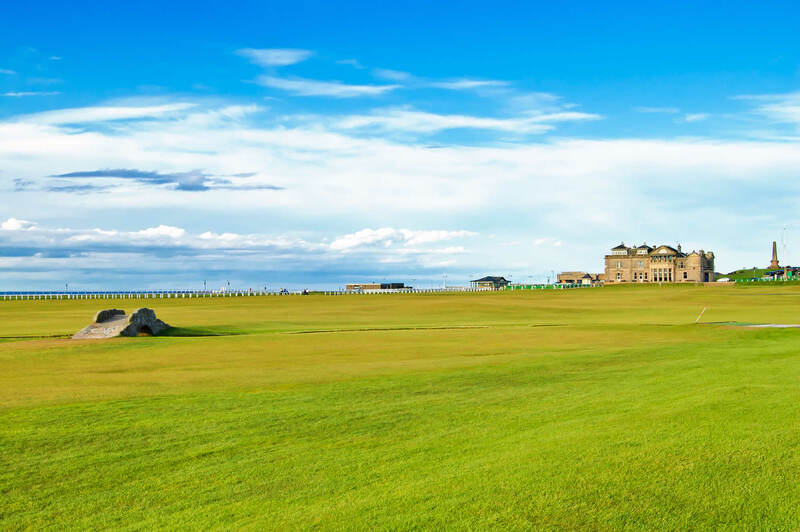 Including one guaranteed tee time on the Old Course, the package also offers a round of golf on two other St Andrews Links courses and is only available for customers who book accommodation in the area. Our winter golf package offers 3 night bed and breakfast accommodation and 3 rounds of Golf. One on the famous Old Course and any two from the New Course, the Jubilee Course, the Castle Courses, the Eden Course or the Strathtyrum Course. Also included is a £15 catering voucher for the Links or Eden clubhouses. See special offers below. The package is available from mid October to mid April. Booking commences on 1st August each year for the winter/spring packages. Please contact us early as demand for this package is very high. 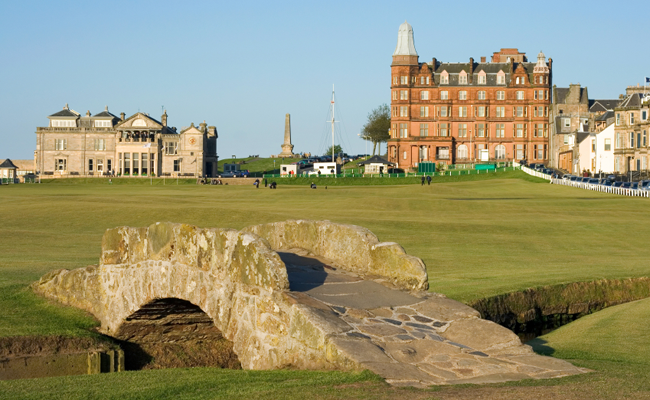 Enjoy three rounds of golf at St Andrews including the Old Course. How to book: Once you know your dates, book your accommodation with us then complete the booking form with St Andrews Links. 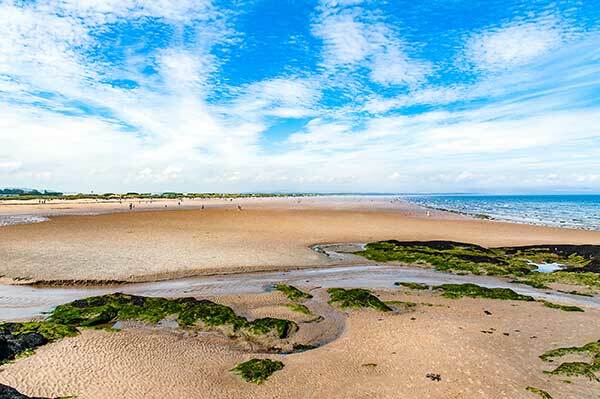 Treat yourself to a break away, St Andrews is so much more than the home of Golf with its great theatre, restaurant and bars and not forgetting our award winning beaches. Come and enjoy superb value on our Winter Warmer Short breaks. They are available throughout the winter (November to February). 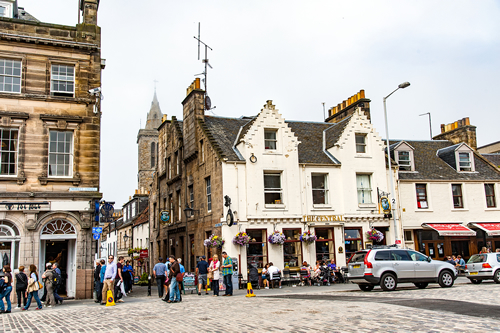 The price is an amazing £110 per person for 3 nights sharing a double or twin room. Price includes full Scottish breakfast and VAT.